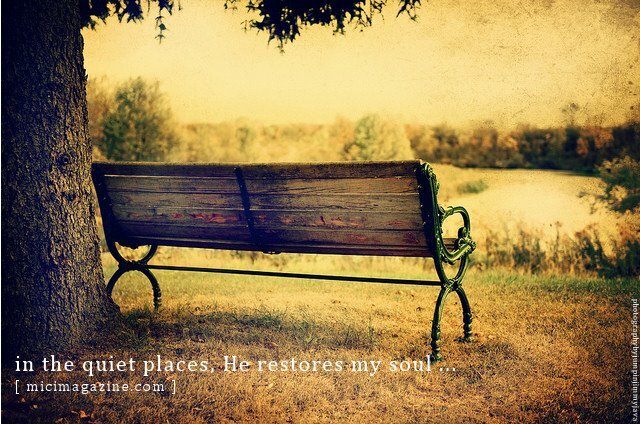 In my experience with healing from depression, I met many well-meaning Christians that were intent on spiritualising every aspect of my condition… everything was a stronghold or a soul tie, and yet most days I clearly heard the Lord say ‘rest is the most spiritual thing you can do today’. It is true our battle is not against flesh and blood, there is a spiritual realm in which we must contend for healing (see Ephesians 6:12). However if we are to contend for healing, I believe it is not to give the enemy so much ‘air time’ that we become paranoid and look for a demon under every rock. Rather I suggest we must embrace what needs to be addressed for spiritual health (prayer, deliverance, repentance etc.) alongside applying some practical steps towards healing our physical bodies. Categories: Body, Healing | Tags: anxiety, Body, change your mind, depression, elijah, Healing, healing from depression, Health, rest and nutrition for healing, soul, wellbeing | Permalink. … You Find Me Bigger! 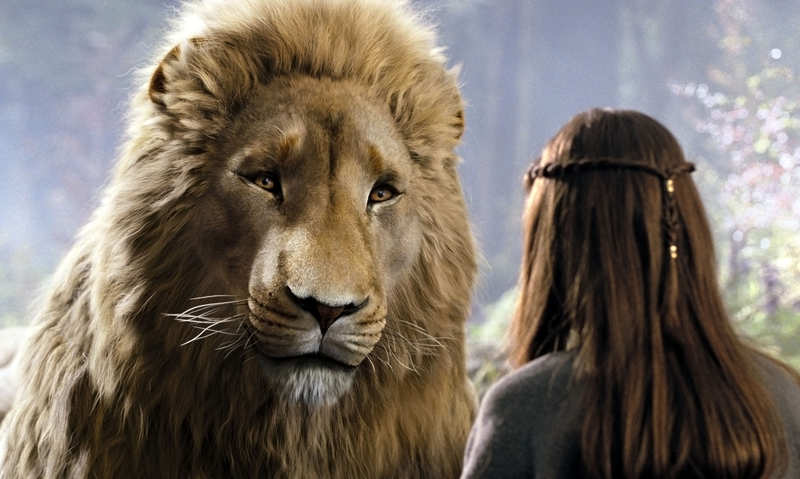 In the book *Prince Caspian, Lucy sees Aslan the lion for the first time in many years. He has changed since their last encounter. His size surprises her, and she tells him as much. ‘Aslan,’ says Lucy, ‘you’re bigger.’ He replies, ‘That is because you are older little one.’ Lucy says, ‘Not because you are?’ He replies, ‘I am not. But every year you grow, you find me bigger.’ And so it is in our walk with Christ. The longer we serve Him, the greater He becomes. It’s not that He changes, but that we do. We see dimensions, aspects, characteristics we never saw before; increasing and astonishing increments of His purity, power and uniqueness. May you see Him ‘bigger’ today… get a BIG view of God and this will translate into BIG courage! For He is bigger than the financial pressure you have, bigger than the sickness you’re battling, bigger than the persecution of other’s, bigger than the relationship problems your dealing with… bigger than all that life has to throw at you. He is Lord over all that comes against you, Hudson Taylor said, if He is not Lord over all, He is not Lord at all! Categories: Be Inspired, Healing, Spirit | Tags: aslan, Believe, change your mind, Christian, compassion, Courageous, depression, emotional pain, encouragement, Healing, Inspiration, perspective, prayer, soul, Spirit, Thoughts | Permalink. Before we can heal the soul we must first understand what is the soul? God has created us as a triune being, we are spirit which has a soul and lives in a body. In pursuit of healing the soul it is most important to understand the soul consists of the mind (which includes the conscience), the will and the emotions. The soul and the spirit are mysteriously tied together and make up what the Scriptures call the “heart.” The writer of Proverbs declares, “ Keep your heart with all diligence, For out of it spring the issues of life.” (Prov. 4:23 NKJV). We see here that our “heart” is central to our will and emotions, * “ for out of it are the issues of life; of natural life: it is the seat of it, from whence all actions of life are derived; it is, as philosophers say, the first that lives, and the last that dies”. 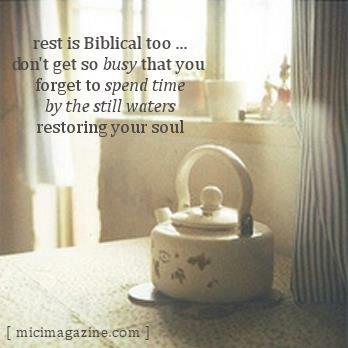 So in healing the soul we must watch with all diligence, guarding the heart from all that would cause the spring, the stream of life that proceeds from it, to be sealed up. Failure to guard the heart will leave our spirit and soul vulnerable to fear-based living, a heart where no life flows, a life personified as a ‘dead-man walking’ carrying a depressed heart. Purpose in your heart to continue talking to God about how you are feeling, or simply praise Him for His promises, as you do this your soul will be renewed, or as my counsellor once put it ‘pray, God re-boot me to the manufacturers original default settings’. Think about this, if all the thoughts you’ve had up until this point has not made you feel any better, have another thought. As you pursue God He will eclipse your fears, broaden your horizons, change your perspective and you will have another thought, a thought which comes from His heart and you will begin to see yourself and your circumstances as He does… through eyes of faith, hope and love. Rejoice in this truth – now there’s a thought! Categories: Healing, Soul, Spirit | Tags: anxiety, Beautiful, Believe, Body, Christian, contentment, Courageous, depression, doubt, emotional pain, forgiveness, Healing, Hope, Inspiration, perspective, prayer, soul, Spirit, spirituality, Thoughts, wellbeing | Permalink.